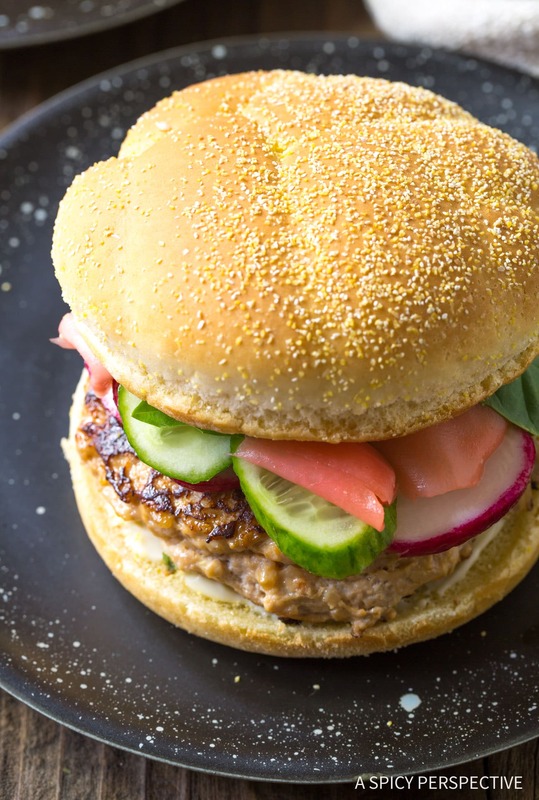 These Easy Sesame Chicken Burgers are a mean lean hamburger variation with massive Asian appeal! Love fusion food? 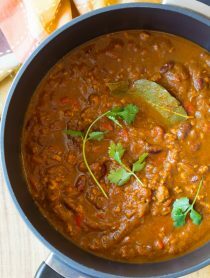 Love comfort food with less fat and calories? Well today we’re cooking the great American comfort food, hamburgers. 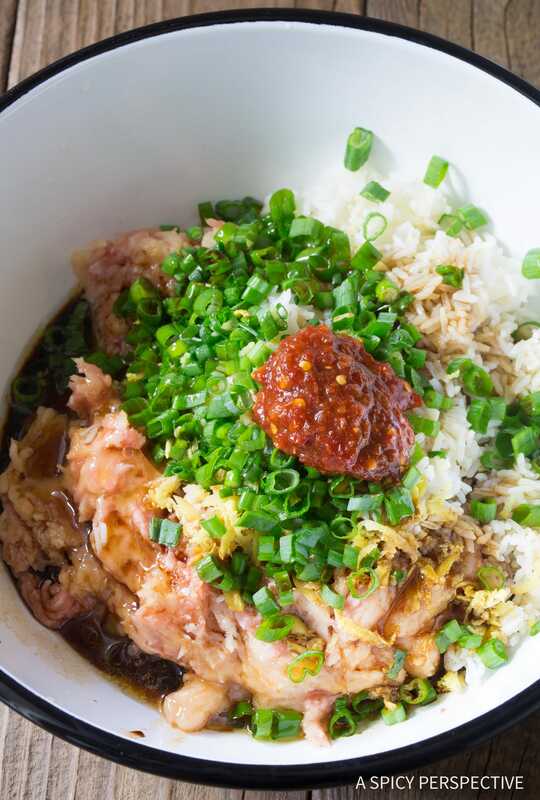 Yet with power-packed Asian ingredients. 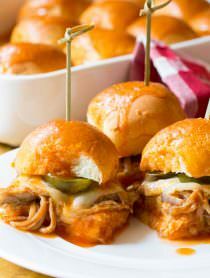 And best of all, these burgers are much lighter than classic hamburgers, without sacrificing any of the flavor. These Easy Sesame Chicken Burgers are bold and spicy, with the quintessential flavor of Chinese Sesame Chicken. They’ve got a touch of sweetness, bold flavor from soy and sherry, and of course the nutty essence of sesame oil. Yet this sesame chicken is shape into patties and cooked on a griddle (or in a skillet) for an easy one-handed meal your family will go nuts over. The first time I tested this recipe concept my son Carson was so enamored by these burgers, he ate every last leftover burger… We had them for dinner one night (4 burgers.) Then he proceeded to eat them for breakfast and lunch the next two days. After they were gone, he kept looking in the fridge then shutting the door, as if more Easy Sesame Chicken Burgers would just magically appear. I realize he’s 13, and boys this age are always starving, but still. His obsession with them speaks volumes about their flavor. 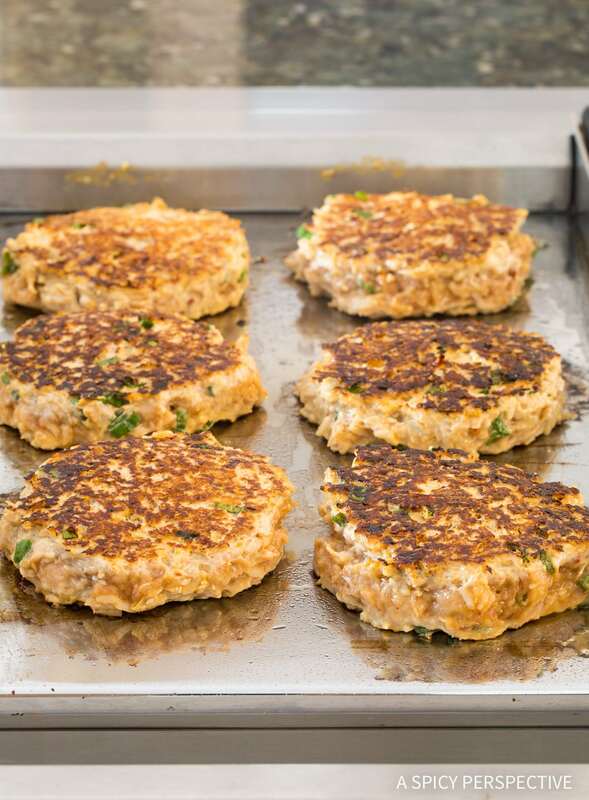 This Easy Sesame Chicken Burgers recipe could not be simpler to make. Just dump all the ingredients in a bowl and mix. Scoop the moist mixture onto a hot griddle and sear for 5 minutes per side. Then place the patties on buns and top with your favorite Asian toppings. Personally, my family enjoys the combination of: mayo, pickled ginger, thai basil leaves, radishes and cucumbers… But you can add any toppings you like! Bonus, these amazingly moist and flavorful burgers have only one-sixth of the fat in a standard cheeseburger. 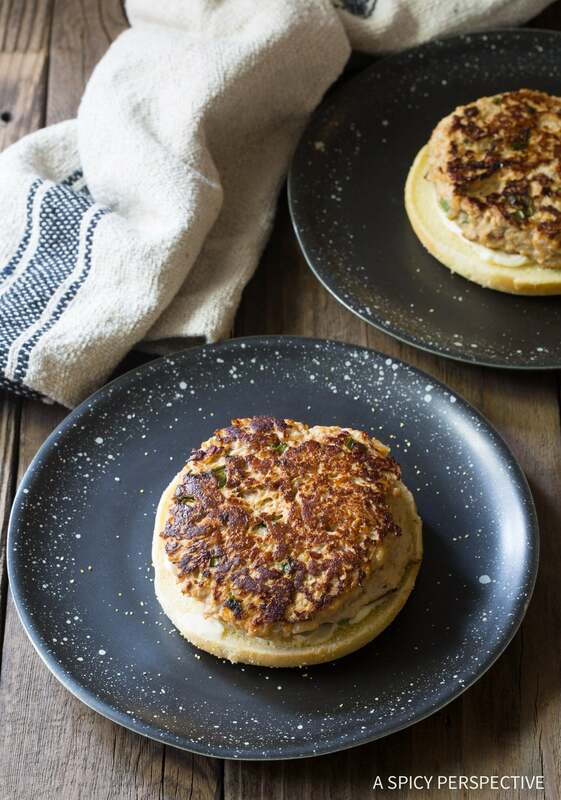 Give these Asian inspired burgers a try this week. You’ll be so glad you did! 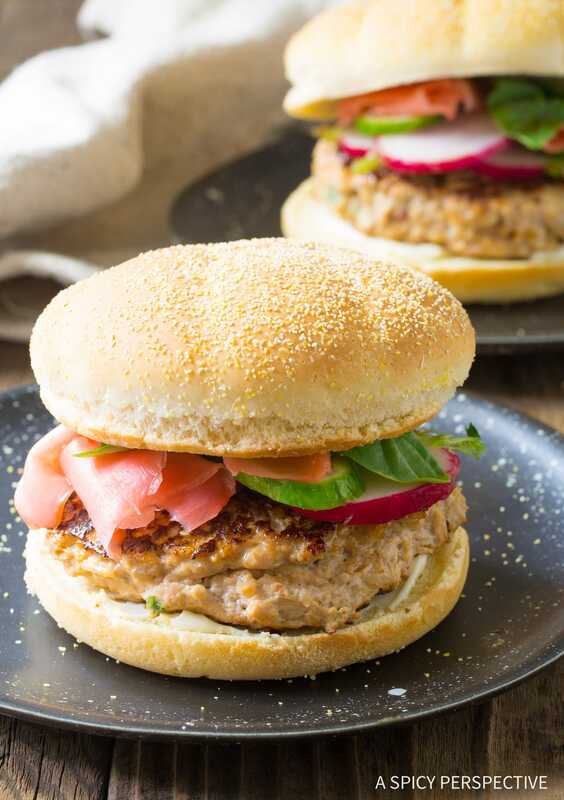 Easy Sesame Chicken Burgers Recipe - A lighter hamburger recipe with power-packed Asian flavor and a juicy texture. 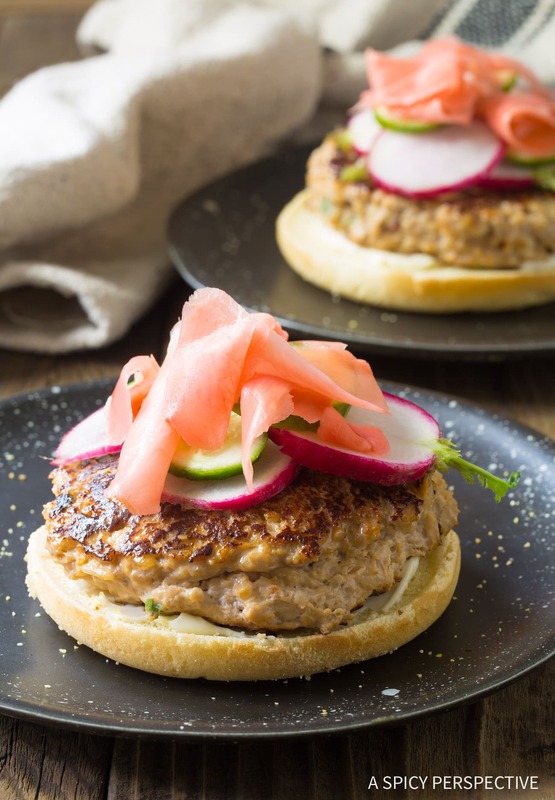 These "skinny" burgers are a summer sensations! Place the ground chicken in a mixing bowl. Add all the ingredients (minus the buns and garnishes.) Mix until well combined. The patty mixture will be very moist and sticky. Heat a griddle or large skillet to medium heat, about 350 degrees F. Once hot, brush the griddle generously with sesame oil. Use a 1/2-cup scoop to portion the patties out on the griddle. Use the bottom of the scoop to press them flat until they are the same width as your hamburger buns. Cook for 5-6 minutes per side. Use a flat spatula to flip the burgers. Everyone at my house loved it! So yummy! Fusion food is the best! These are great! These are so flavorful!! I’m going to try them on the grill next!!! I can’t wait to try these! They look and sound so flavorful. No bland burgers here! I was wondering if you use toasted sesame oil or plain untoasted sesame oil? These will be a fun and welcome change to burger nights. It doesn’t really matter, but the one I buy is toasted. Enjoy!! 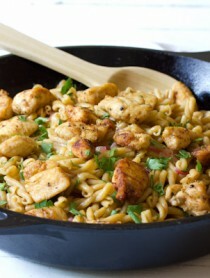 I love the fusion flavors in this dish!